Out of the new letter configurations, users will notice that the no-letter designation now has support for 1.0 TB of memory, double the first generation. 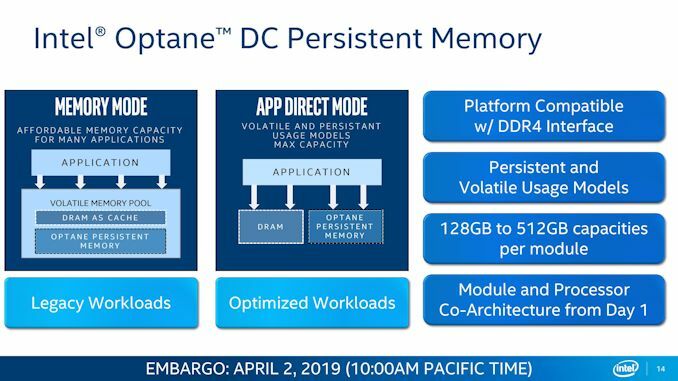 This goes up to 2 TB for M, and 4.5 TB for L. These values include parts that are fitted with Optane, and as such an ‘L’ CPU can support 3.0 TB of Optane plus 1.5 TB of DDR4 memory, to give that 4.5 TB total. Out of the M/L designation, M seems odd at 2.0 TB, especially for a processor that has six channels of memory. 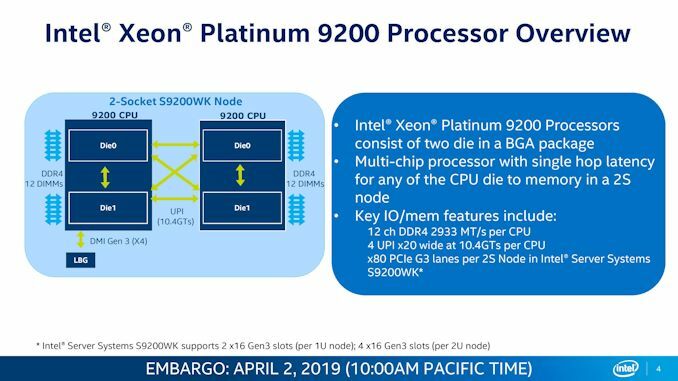 This is because there are a number of motherboards in the market in a ‘2+1+1’ configuration, which relates to how many DIMMs are on each side of the processor. ‘2+1+1’ means that on each side, there is one memory channel having two DIMMs, one with one DIMM, and another with one DIMM. This makes eight per socket, allowing for 2.0 TB divided by eight to equal 256 GB per DIMM slot. Almost confusing. Technically true, but some boost within TDP can some times be expected. 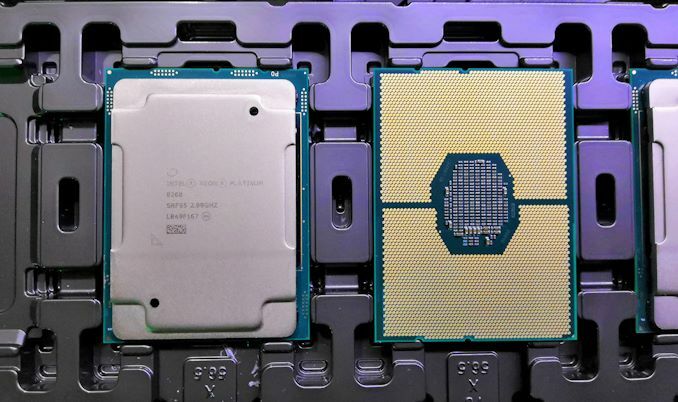 A consumer CPU with a base clock of 3.5GHz and boost clock of 4.5GHz might manage more than 3.5 within TDP, even if 4.5 requires more power. No boost is guaranteed within TDP, though. 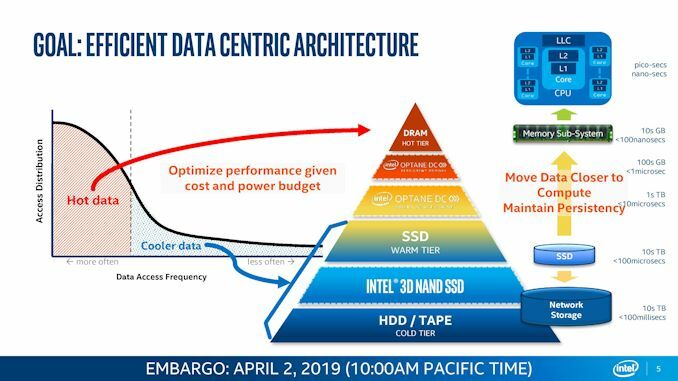 I doubt Intel can afford to leave any headroom anywhere. They're less than competitive as it is so I'm sure they're squeezing everything they can from these now.